It is not known just where this gown originated. 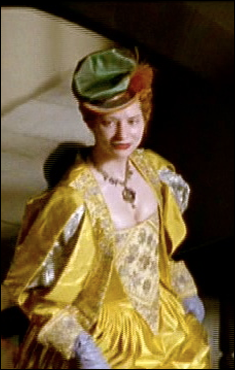 It is possible that it was made for the BBC's The Virgin Queen, but as many gowns for that production had come from other films, it is highly unlikely that a new gown, and a significant portion of the costuming budget for the production would be used for a secondary character. 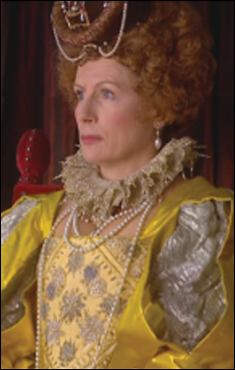 The gown was seen again in 2007 on Jennifer Saunders impersonating Helen Mirren playing Queen Elizabeth I (confusing, no?). The gown was later seen on the third season of Showtime's The Tudors. 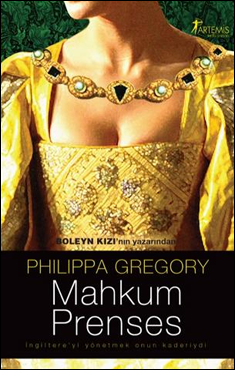 The promotional image in which Charlotte Salt is seen wearing the dress was also eventually used on a book cover for a Turkish versio of Phillipa Gregory's The Constant Princess.